Sore losers throughout the years have accused online poker of being rigged. This happens when a player loses on the river or gets pocket aces cracked more often than he expects. Most players don’t understand that they see three or four times the number of hands per hour. This means that more bad beats occur per hour. Online games are also much lower in limits than live games. This causes looser play and more chasing. So is online poker rigged? While most people that complain about online poker dealing are just whiners, there are some legitimate complaints out there. These include shady poker operators and hacks. Many of these problems occurred during the early years of the online poker industry. Planet Poker was the first online poker site. It ran into a multitude of problems. Security was lax on the site. The software was of very low quality. The server crashed often, sometimes for days at a time. The fascination in the world’s first poker site and the money on deposit attracted security experts and those with nefarious motives. Luckily for Planet Poker and its players, security experts were the first ones to find the problems at Planet Poker. Cigital discovered that Planet Poker was using a flawed random number generator, among other security problems. ASF Software provided the random number generator to Planet Poker. It produced an uneven distribution of cards and in many cases, Cigital was able to determine turn and river cards after seeing the flop. Clearly, this was a major security issue. ASF Software fixed the random number generator after being called out by Cigital. Poker software developers have since created advanced random number generators that cannot be predicted. Planet Poker never recovered from this and its other security issues. It limped along for years with little traffic before ceasing operations in 2007. Planet Poker’s rigging was unintentional and can be attributed to carelessness and a lack of experience in the early days of online poker. The issues at Ultimate Bet were intentional and malicious. 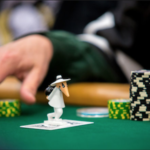 The rogue activities at Ultimate Bet changed the online poker landscape forever. In or around 2004, software developers created a way for site employees to see the hole card of players at Ultimate Bet. This was done against the wishes of several board members. Russ Hamilton was able to use this software to steamroll the games. Since Hamilton could see the hole cards of opponents, he could never make a mistake unless he wanted to dump chips. Hamilton destroyed high limit games at Ultimate Bet under numerous usernames until it was exposed in 2007.